Journey have announced dates for a fall residency in Las Vegas. The band will host a 9-show series between October 9-26 at The Colosseum at Caesars Palace that will mark their first live shows of the year following an extensive 2018 trek with Def Leppard that played to more than 1 million fans on the continent while earning total box office revenue of $97.1 million. Journey will perform residency dates on October 9, 11, 12, 16, 18, 19, 23, 25 and 26. An American Express card members presale runs Tuesday, April 16 at 10 a.m. PT through Thursday, April 18 at 10 p.m. PT, while a JourneyMusic.com fan presale will be available starting Wednesday, April 17 at 10 a.m. PT through Thursday, April 18 at 10 p.m. PT; in addition, presales for Caesars Rewards members, Caesars Entertainment's loyalty program, Live Nation, Ticketmaster and SiriusXM customers will take place Thursday, April 18 from 10 a.m. PT to 10 p.m. PT. General public tickets will go on sale Friday, April 19 at 10 a.m. PT. Journey previously played a nine-show Las Vegas residency in 2017 at the Hard Rock Hotel featuring full performances of its "Escape" and "Frontiers" albums; the group recently released "Live In Japan 2017: Escape + Frontiers", a package which captures a special performance at the famed Budokan in Tokyo. 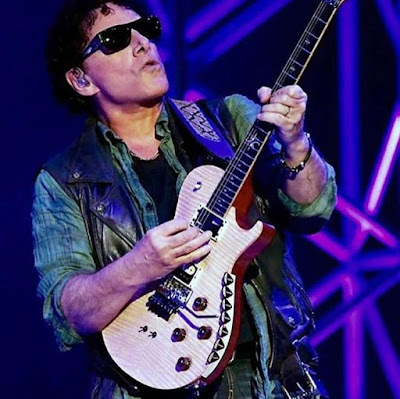 Earlier this year, guitarist and Journey founder Neal Schon launched his “Journey Through Time” tour and will be announcing more dates moving forward.